Every Knucklehead, Panhead or Shovelhead rider knows "The Leak": the ever-present oil leak from the main drive gear. Now Zodiac has "The Cure", a seal kit that will stop this oil leak! The stable and reliable Harley-Davidson 4-speed transmission has been built for half a century, but the oil leak has always been present. The reason is that Harley designed the main drive gear spacer without a seal. This state of the art hardened two piece stainless steel spacer features an additional Viton O-ring that permanently prevents oil coming out between the spacer and the main drive gear. 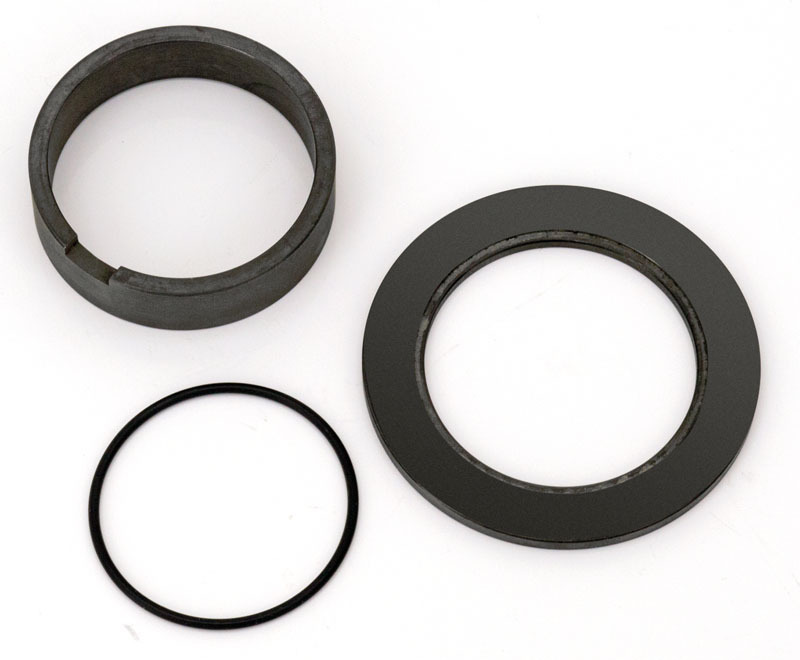 It can be installed easily without disassembly of the transmission as it is located just behind the main shaft oil seal. Kit replaces the spacer (OEM 35171-37) on all 4-speed transmissions from 1937 thru 1977 and includes the spacer washer, spacer sleeve, Viton O-ring and detailed installation instructions.